SEOUL, South Korea -- His nation suffered the worst nuclear disaster in history, but the Ukrainian ambassador said his country now wishes to promote the safe use of nuclear power at the Seoul Nuclear Security Summit. 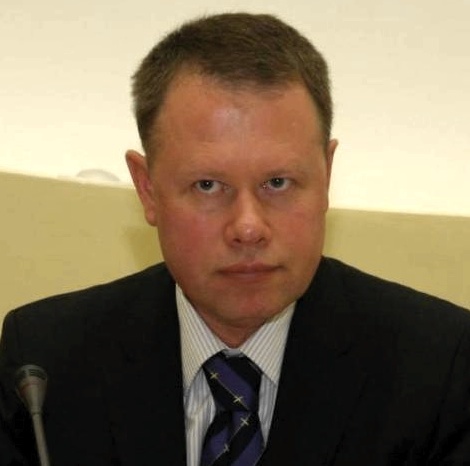 Ambassador Vasyl Marmazov said the catastrophic explosion at Chernobyl nuclear power station’s reactor 4 on April 26, 1986 has well-placed his country to contribute to nuclear security and safety talks at the summit on March 26-27. The United Nations has estimated that 9,000 cancer-related deaths could stem from the Chernobyl disaster, while Greenpeace’s prediction runs to 93,000. Fallout from the damaged reactor north of Kiev was enough to double natural radiation readings in Sweden, 1,000 miles away. A 30 km-radius exclusion zone exists around the plant 26 years on. The country also renounced its Soviet-inherited nuclear weapons in 1996, and has pledged to remove its stockpiles of highly enriched uranium. “Ukraine’s example can serve as a basis for the unification of international efforts toward the establishment of a safe, nuclear-free world in the interests of all states,” Marmazov said. Ukrainian President Viktor Yanukovich is to attend the Seoul Nuclear Security Summit along with representatives from 58 countries and international organizations. Some 48 heads of state including U.S. President Barack Obama, Chinese President Hu Jintao and U.N. Secretary-General Ban Ki-moon are scheduled to attend. “Threats to nuclear security remain at the global and regional levels and can be closely linked with the development and use of nuclear energy,” Marmazov said, calling for the Nuclear Security Summit to become a regular event. Their advice was sought by medical experts soon after the Fukushima nuclear disaster last March 11. “We are ready to render further any kind of assistance in this field to the Japanese side as well as to others. The Republic of Korea is also interested to cooperate with Ukraine in this sphere in order to obtain our experience, scientific approaches and methods,” he said. Maintaining high levels of emergency preparedness and response capability were two key lessons Ukraine has learned to mitigate the effects of a nuclear accident, he said. And transparency must be maintained as much as possible during such an event. The Soviet authorities did not admit the Chernobyl catastrophe had happened until two weeks after the explosion. And Japan’s Fukushima Daiichi Nuclear Plant operator TEPCO was also accused of cover-ups in the wake of last year’s meltdown. Marmazov called on all signatory countries of the Convention on Nuclear Safety to ratify the agreement and for the nuclear industry, regulators and governments to work together on such issues. “Keeping in mind the lessons learned from the Chernobyl disaster we are convinced that application of safety measures must continue to be a top priority in all activities related to nuclear energy use,” he said. In spite of Chernobyl, Ukraine is still heavily dependent on nuclear energy. It currently has 15 nuclear reactors generating about half of its electricity, commissioning two large new plants in 2004. And the ambassador thought that the conference should be a forum to secure non-nuclear states’ rights to nuclear materials and technology for peaceful purposes, as long as they abided by international treaties. The country pledged to remove its highly enriched uranium stockpiles, totaling about 90 kilograms, at the first Nuclear Security Summit in Washington in April 2010, and Yanukovich told the Yonhap news agency that the task was nearing completion ahead of his visit to Seoul.